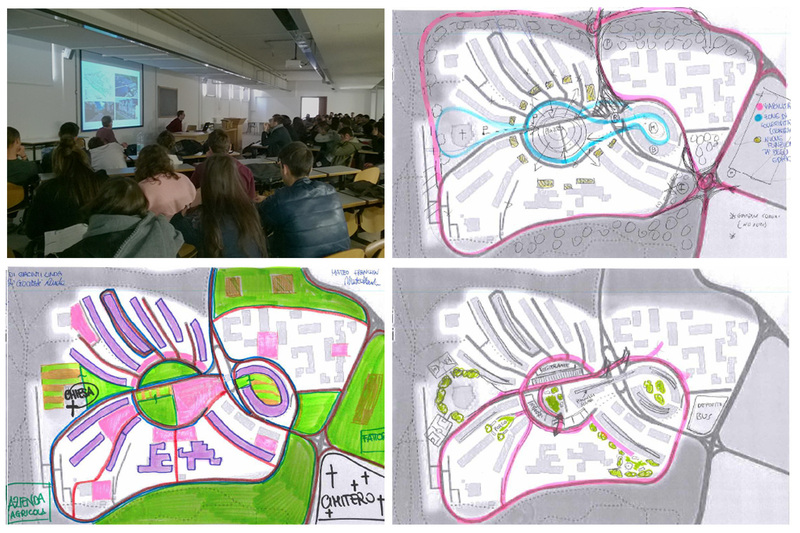 On 9th of April 2019 the Municipal Council of Misano proceeded with the adoption of the urban project of the “Motor Park” section of Santa Monica, conceived by the Mijic Architects firm, which will give the possibility to develop the Misano World Circuit “Marco Simoncelli” of Misano Adriatico. Its aim consists in a seasonal adjustment and in the implementation of activities related to motorsport, this will give the circuit the possibility of becoming a point of excellence for the “Land of Motors” of Emilia-Romagna. Great news! We are pleased to share our projects related to the extension of the international racing world circuit of Misano. See more about it on our project section and on our social. More news coming soon! 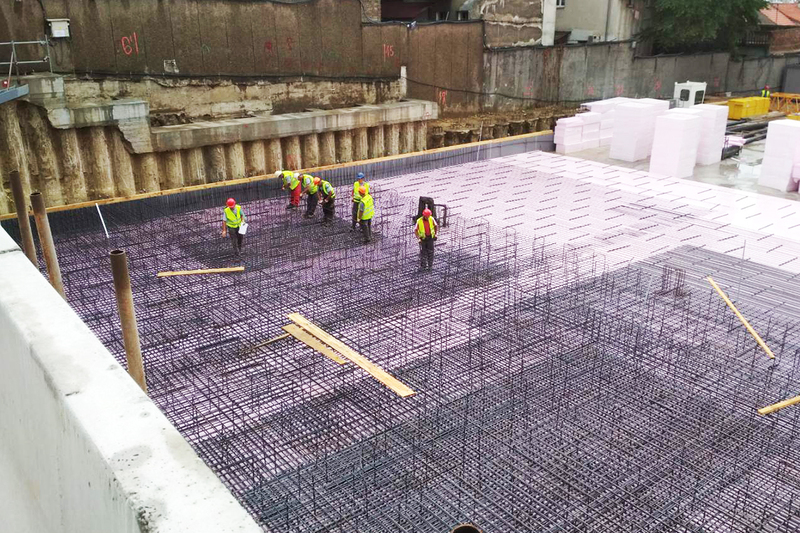 Update from the site of the new Kennedy Square in Rimini, we are almost there! 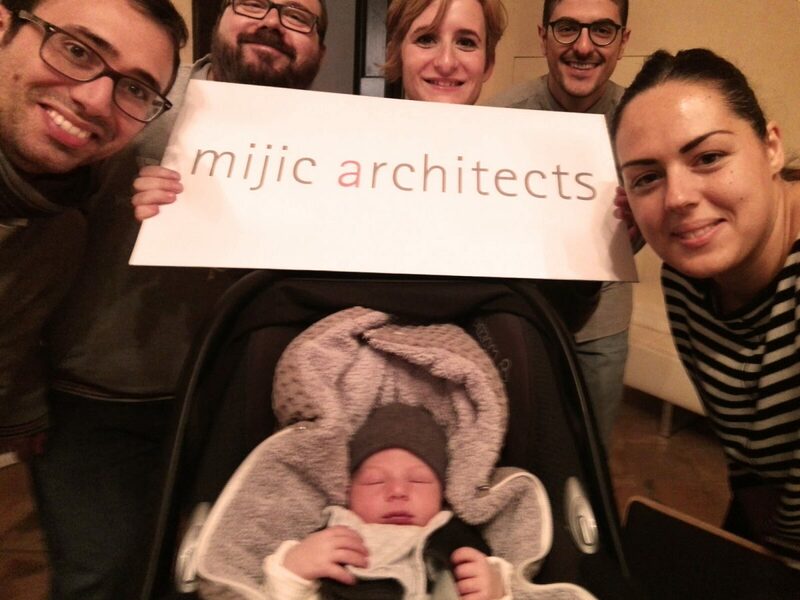 Mijic Architects care about new generations! The partner engineer Orietta Villa and architect Linda Villa gave a lecture on the use and functionality of graphic software in the building sector. The students observed through some of our examples of ongoing projects, all the design phases from the sketch, to the rendering up to the construction phase. Thanks to the institute “Albert Einstein” of Rimini for the beautiful initiative, we are happy to have contributed to the education of the students. 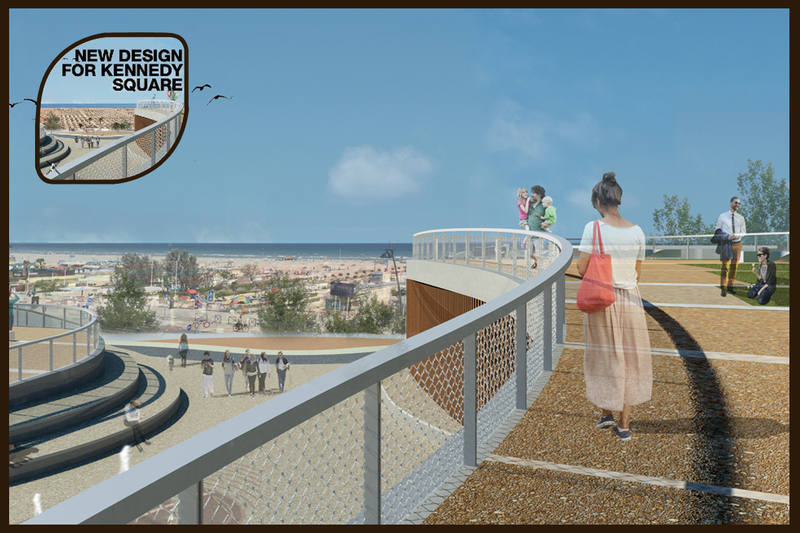 Project for the competition of the new primary school in Cesenatico was born from the intent to give continuity to the existing green system of the area. Respect of the landscape and careful bioclimatic planning with also a physical and visual continuity between interior and outdoor spaces aims to guarantee physiological well-being for childrens. 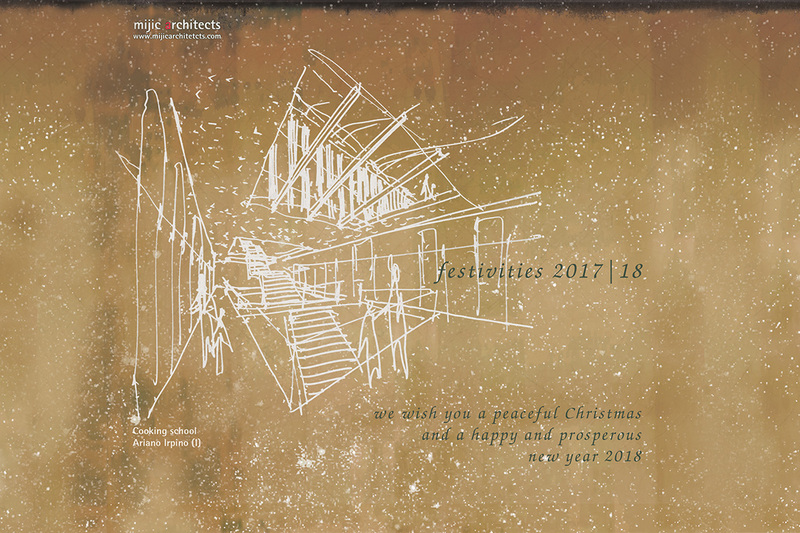 Team mijic architects wishes you all a peaceful Christmas and a happy and prosperous new year 2019! The construction site has been active since 2015, when the demolition of the existing building of the German Embassy had began, in the last few days an important phase was concluded. 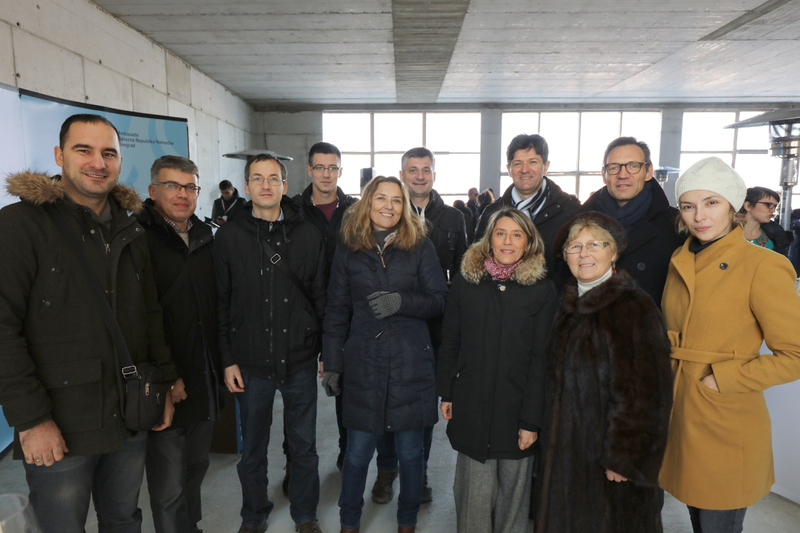 Mijic architects as local architect, executive designer, coordination and site supervisior on Friday 30 November took part at the topping-out ceremony with the Serbian part of the team involved. Mijic architects had the pleasure of hosting the “Landscapes” event, in which numerous guests took part. 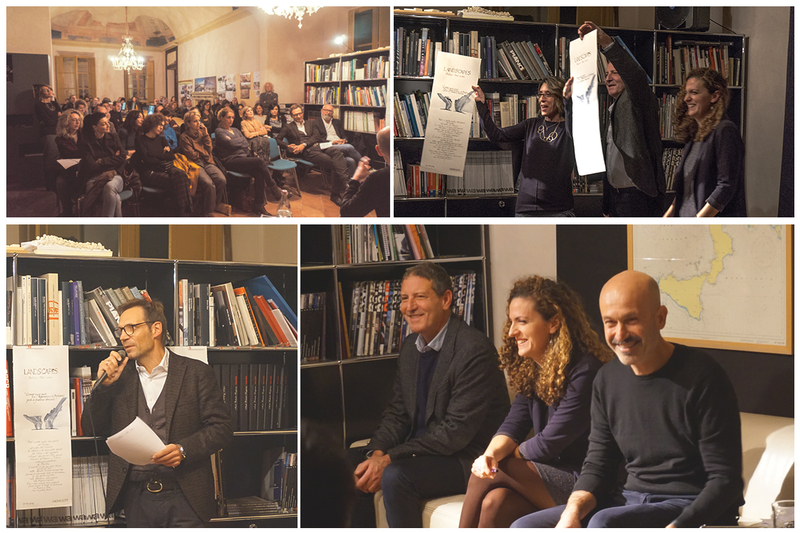 Here we share some of the moments of the evening with Marina Lalovic and Gigi Riva who had a conversation, together with the architect Mijic Eduard, and the public present. Following the Leit Motiv of the current exhibition presented at the MoMa in New York “Toward a Concrete Utopia” some images of the architecture built in Yugoslavia was also screened in the studio. The author Fabio Fiori has introduced and presented the event, which has attracted interest asking questions about the past and the future of the Balkans and beyond. 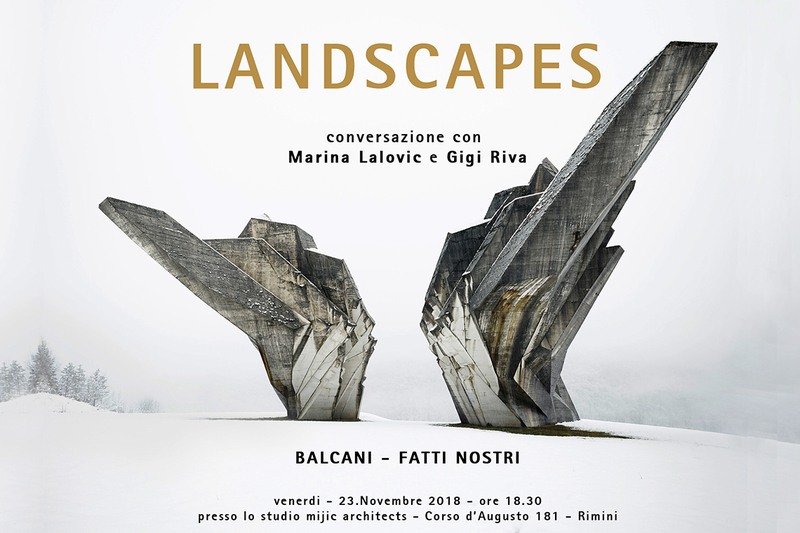 On November 23rd at 6.30 p.m Marina Lalovic and Gigi Riva will be in Rimini for the event “Landscapes. Balcani-fatti nostri”. Mijic architects is proud to host the event! 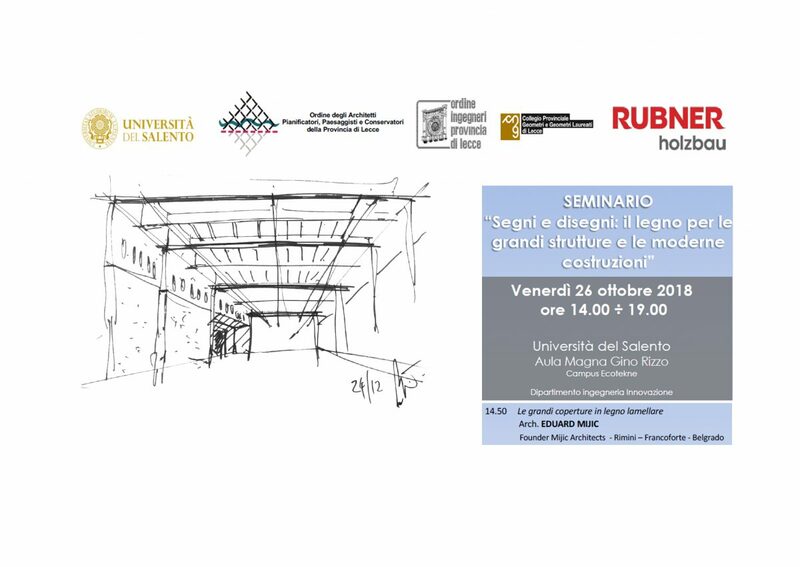 Today our founder architect Mijic will be in Lecce at University of Salento for the seminary “Signs and drawings: wood for the great structures and modern buildings”! 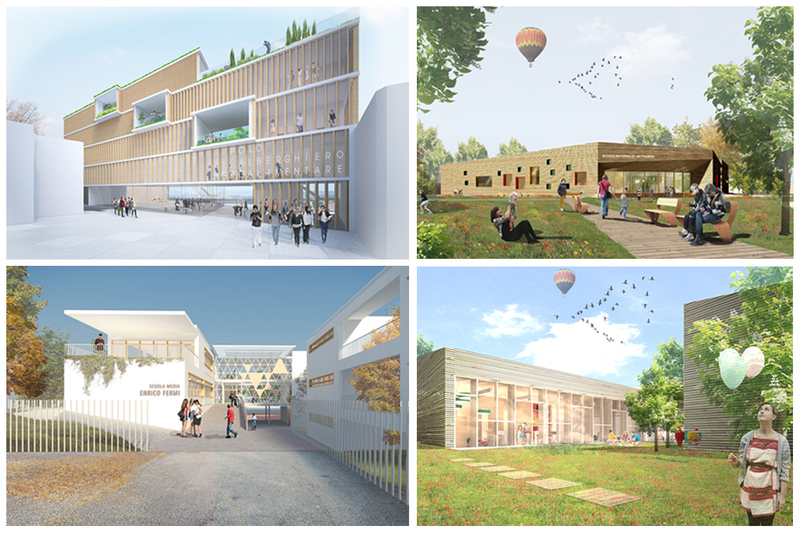 Take a look at our proposal for the new culinary school in Ravenna created for the “#scuoleinnovative” contest! Beautiful day here in Rimini, the weather it’s perfect for a site inspection with all the team in the new Kennedy Square! 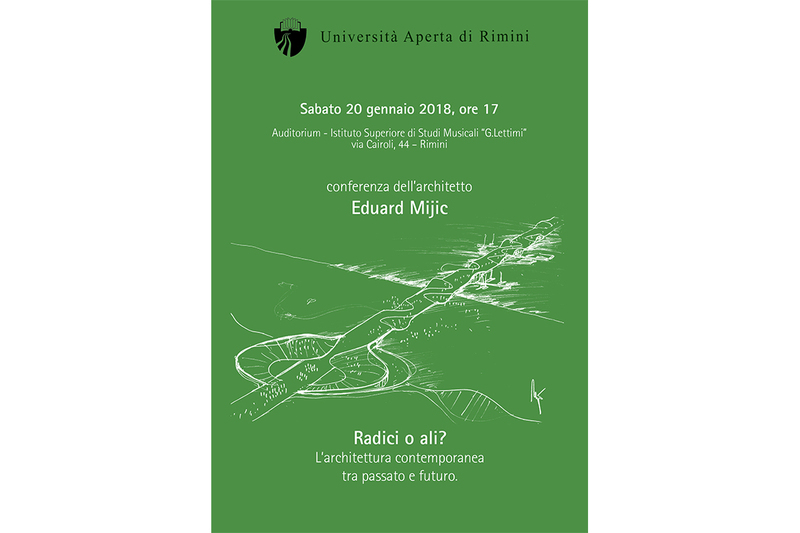 Architect Eduard Mijic will discuss the theme of “Roots or Wings? 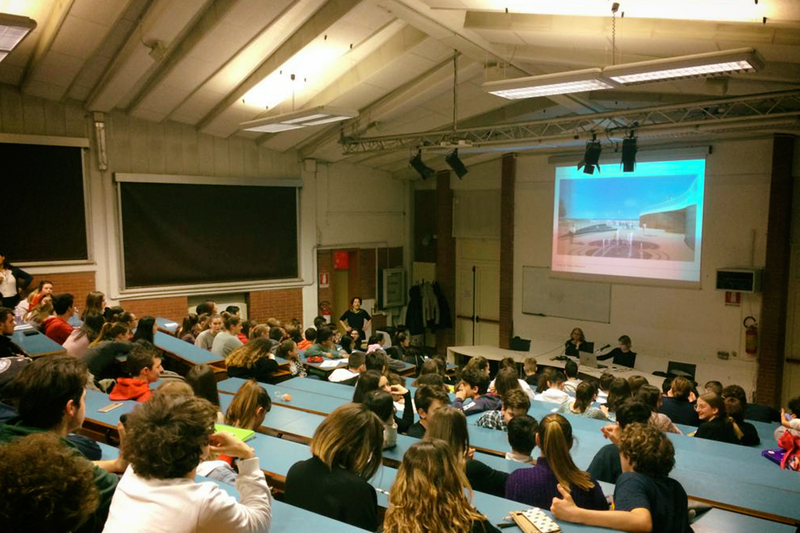 Contemporary architecture between past and future” at the Auditorium – Istituto Superiore di Studi Musicali “G.Lettimi” via Cairoli, 44 – Rimini, at 5 pm on Saturday 20th January. It will be an opportunity to discuss one of the main challenge of contemporary architecture: having a close relationship with its context without neglecting creativity and innovation. Please welcome the newborn Arch. Enea! 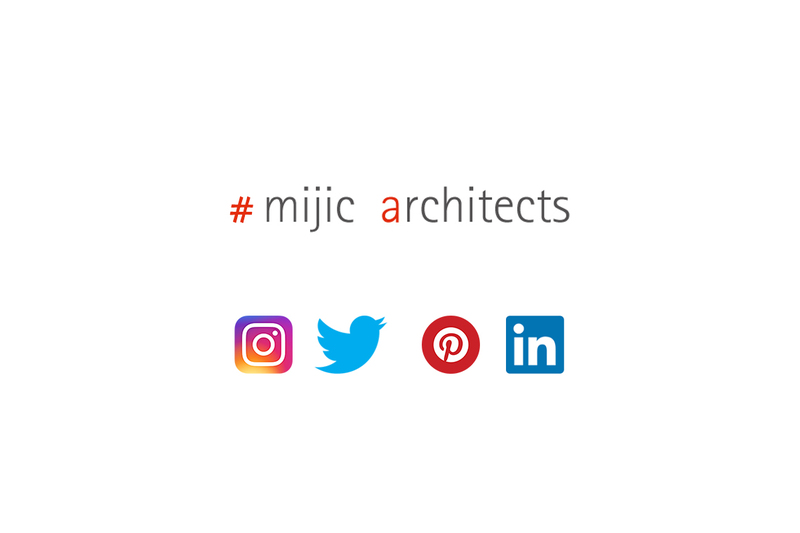 Mijic Architects wish you a happy and prosperous 2018! An increasingly contemporary theme in Italy is linked to the architecture of the schools. 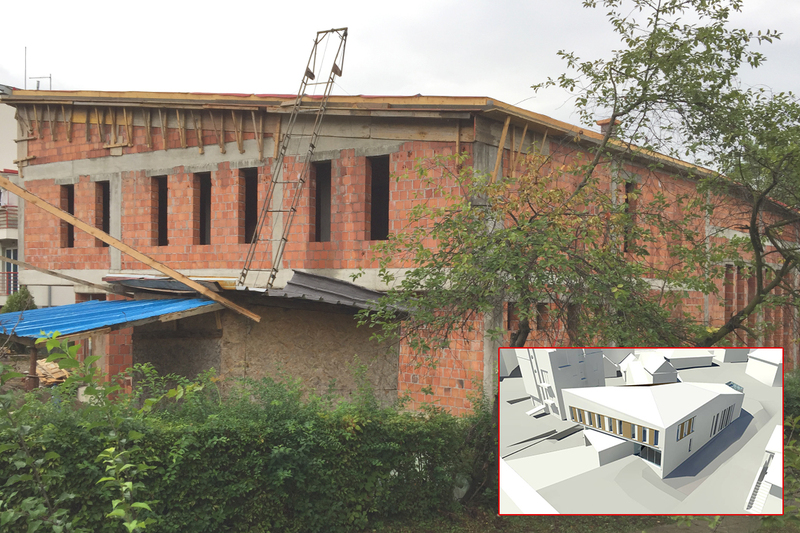 Mijic architects has participated in several competitions with the intention of providing a solution to the needs of today’s students and following the guidelines of the future schools. Collective and less rigid spaces, environments open to public, green spaces for outdoor activities and sharing are just some of the issues addressed in the latest school-designed projects. The first phase of the restyling intervention of the bathrooms of Rimini Trade Fair that involved pavilions A4 and C4 is completed. The project for the reconstruction of the underground baths of the halls A4, C4, B4, D4 and A0, B0, C0, D0 consists of replacing the old elements damaged by time such as washbasins and accessories, paintings of the walls and renewal of installations. Actually in progress are the renewal of the toilettes of B4 and D4. Works for extension of the Rimini Trade Fair continue. Take a look at construction site: here’s one of the four pavilions actually under construction. The work of Kennedy Square continues after the opening of the first cyclopedonal tract, which again makes it possible for pedestrians and cyclists to walk along the Lungomare Tintori as well as it allows access to the beach through the connection made with a slope, which is part of the Ausa covering project already realized earlier. Started last year, on June 2016, first part of planned extension of Rimini Trade Fair has been completed. Eight of the twelve exhibition halls, the smaller ones, are now useble for events and fairs. The second phase is currently under construction, which will provide four more dimensionally wider halls. Check out further and updated images in our project section on “Extension of Rimini Trade Fair”. 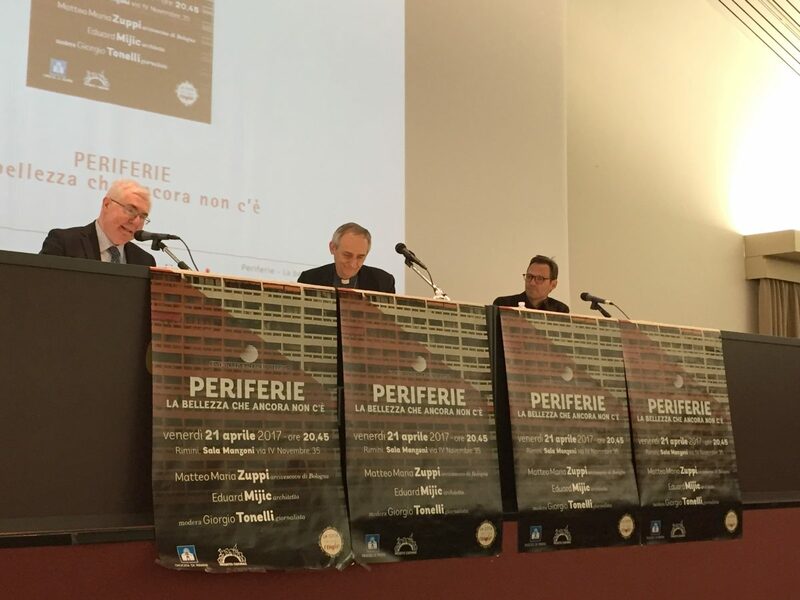 The conference that took place on 21st April was an important night of confrontation on the theme of the suburbs and their future. In the morning of 21st April Arch. Mijic held a lesson for a students of Tecnhological tehnical institute of Rimini “Belluzzi-Da Vinci”. The lesson was followed by a direct involvement of the students who have reasoned and proposed their own personal solution to the problems of a Roman periphery “Tor Tre Teste” that were taked as an exemple. Arch.Mijic considered the meeting very positive especially for the attention and sensitivity of the classes to such an actual theme of suburbs. 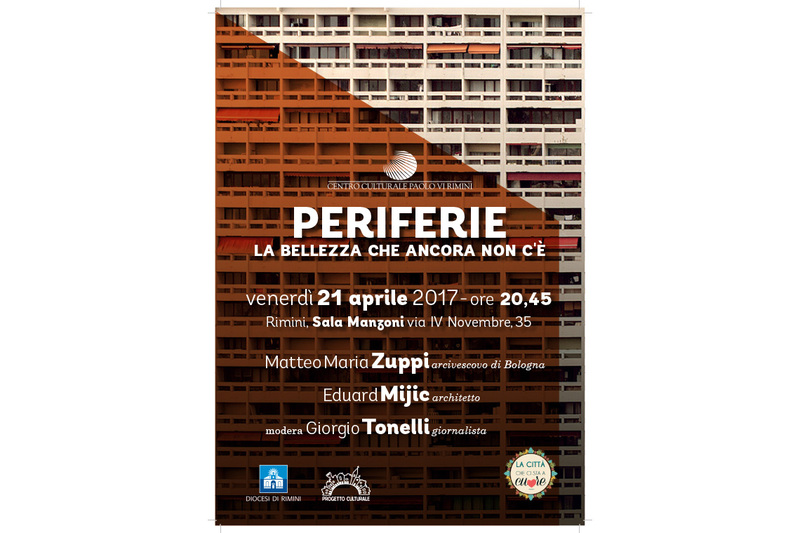 On the occasion of the last conference of the event “La città che ci sta a cuore” (“City that we care”) promoted by Progetto Culturale, architect Mijic was invited to the event to analyze under the urban and social aspect the current phenomenon of the suburbs. At the conference that will take place at Centro culturale Paolo VI Rimini at 8.30 p.m. there will be also Archbishop of Bologna Matteo Maria Zuppi to give also both social and theological point of view about the theme. In occasion of the SIGEP trade fair 2017, the world´s artisan confectionery show, mijic architects are happy to annouce that the first four extention exhibitions halls has been successfully completed in time. 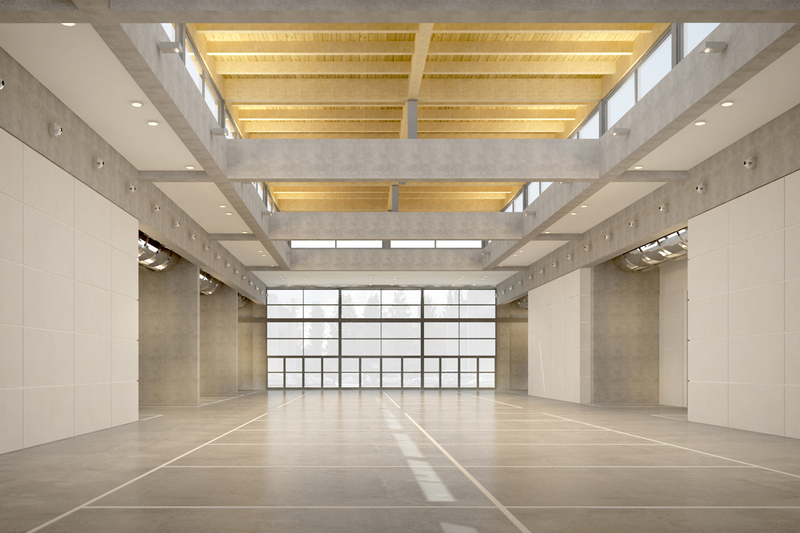 The intervention regards the covering of the existing courtyards between pavillions transforming them from a loading/unloading area for trucks into an inner exhibition space. 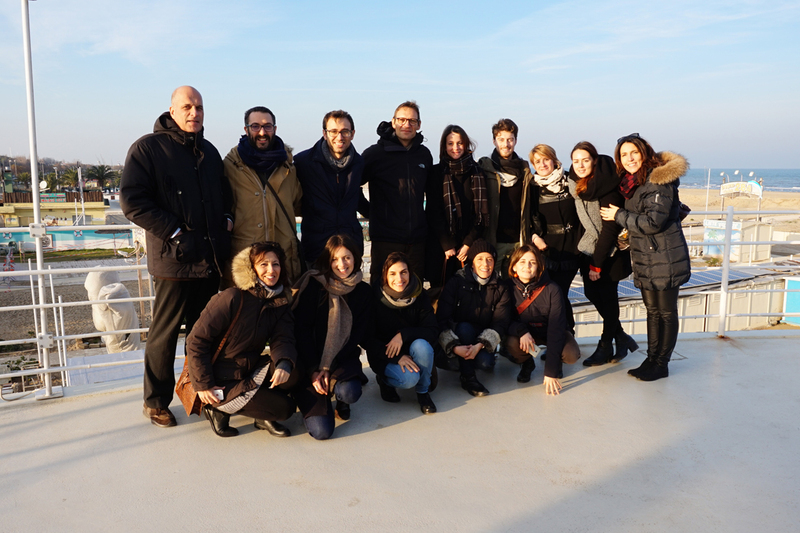 Last wednesday the offices mijic architects and Paisà joined together in Rimini to visit some of the realized projects and costruction sites in Rimini. It was an opportunity to discuss some of the projects which the two studios are working on and to exchange some points of view on each other’s work. 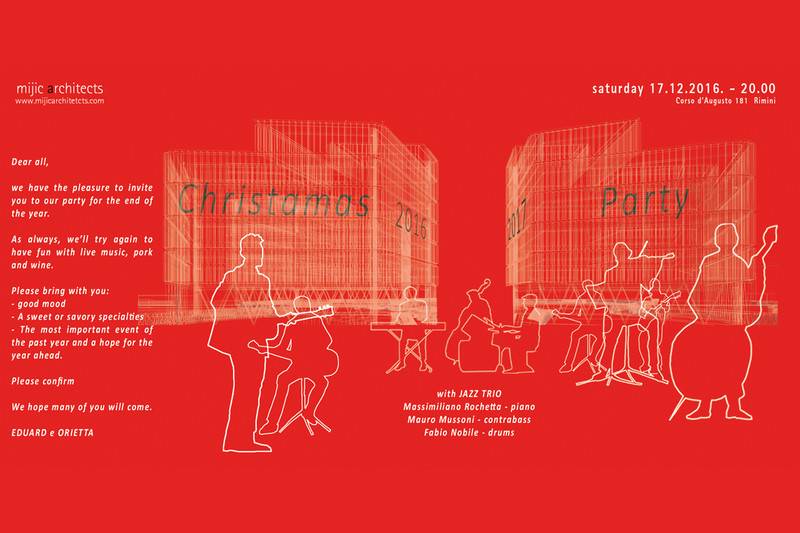 Saturday night Mijic architects had the plasure to invite all friends and partners at the Christmas party of this year. It was a good evening to celebrate and talk, an occasion to discuss and think about the most powerful and impressive events that happened in our world last year. New Kennedy Square was part of selected projects for category “Intersection” at the 9th International Biennal of Landscape Architecture “Rosa Barba” Prize in Barcelona! Visit http://www.coac.net/landscape/intersection.html to find out more about the news. 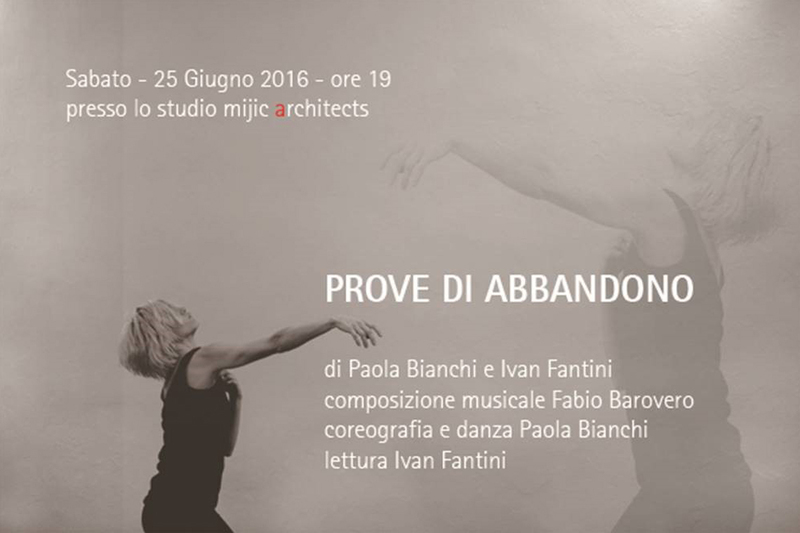 The theme around which revolves the project is the abandonment, and the novel of Ivan Fantini Educarsi all’abbandono is its guide. Abandonment brings the void, the emptiness, the missing and the orphan. At the same time the word contains the word gift, so leave a giving, a provision of anyone, unexpectedly positive sense of the word. Donating the memory, the memory of the body, of what he has lived through that body, its emotional map, its history which, if allowed to flow out of the skin, deformes and shrinks the structure giving us the vision of bare life. Completed works for the Covering of Ausa Duct. The new path has been inaugurated with an open party with the participation of all citizens of Rimini. Arch. 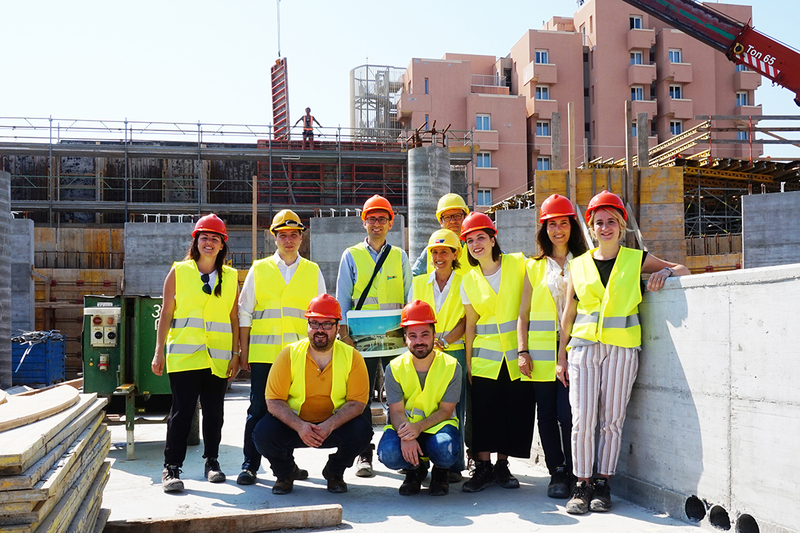 Mijic have visited Sanpatrignano community and its facilities appreciating the development in harmony with the context and the ability to balance the need for extension. Mijic architects presents the executive project for the extension of Rimini Trade Fair. The project involves the construction of 8 new exibition halls, to expand the exibition function and to accomodate a larger numer of visitors. Interview with architect Eduard Mijic at the Positive Economy Forum that took place at the Congress Center of Rimini. The central theme of the forum has been the relationship between positive tourism, architecture and environment. 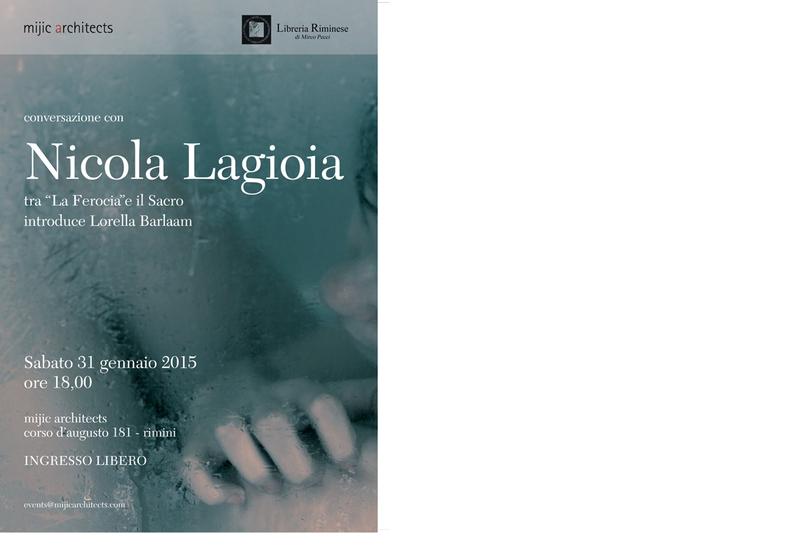 Cultural event promoted by Mijic architects with the collaboration of Libreria Riminese. disaster, which runs through the forms of noir, gothic, the family’s story, to stage the ferocity of the years we are livin. The ferocity in the etymological sense of the term, that perhaps postulates ethology as the discipline that can better explain the new century.